With the lighter evenings and allegedly warmer days, North Norfolk Beach Runners have been making the transition from winter cross-country to spring-to-autumn road racing with effortless aplomb. 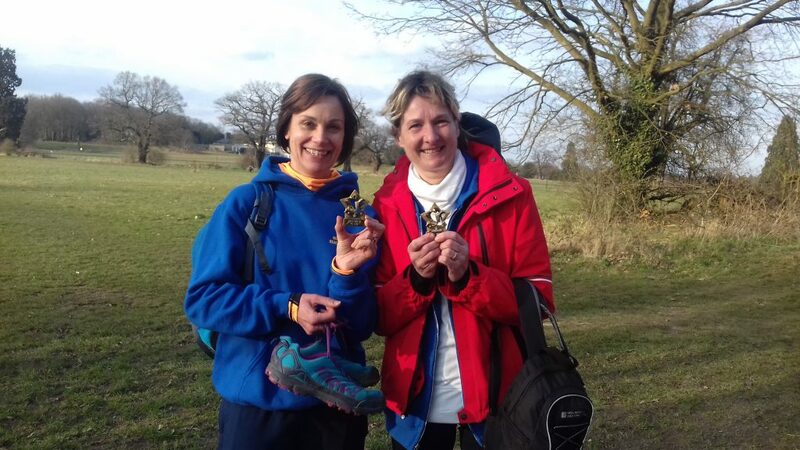 Over the winter, those regularly getting muddy in the 10-race East Anglia Cross Country League included a ladies squad among whom Karen Balcombe finished 7th overall in the series and Louise Pegg eighth. 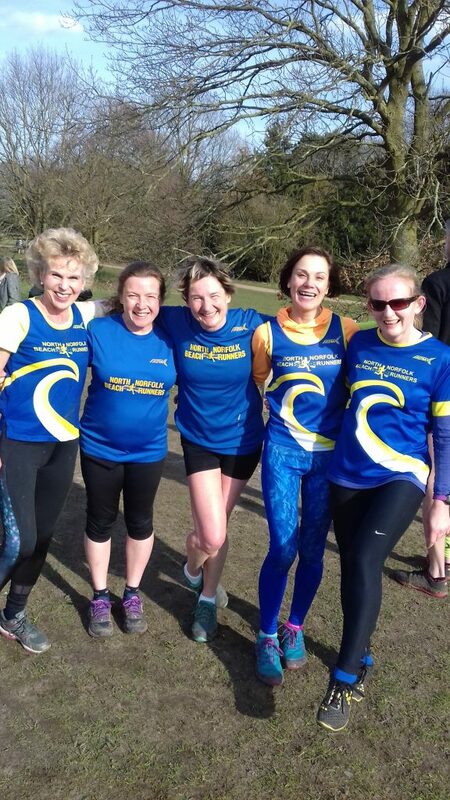 With races taking place on Wednesday afternoons and many runners unable to run them all, the Ladies team prizes eluded the Beach Runners, but those who ran some or nearly all of them included Gemma Woolrych, Rachel Robson, Sue Ilsley Sarah Mapes Shay Boyfield and Ali Lowe. 1. Louise Pegg, left, and Karen Balcombe. Meanwhile, the marathon season is now under way and at Manchester on April 8th, among more than 9000 finishers, it was again NNBR ladies to the fore, with Emily Haughan (V35) clocking 3.45.12 for 3050th place overall but 73rd in category, and Rebecca Maun (V45) clocking 3.47.56 for 3274th overall but 45th in category. Brighton (15th April) and London (22nd April) marathons now follow and NNBR will be well represented at both.